Today's ride was lovely. Perfect blue skies. Warm temperatures. More beautiful mountains. Lots of trees. And the wonderful Crooked Fork Creek meandering alongside my route. I kept singing to myself: "I'm riding on sunshine, woohoo. And don't it feel good?" I loved that I could sing at the top of my lungs, and only the mountains would hear me. 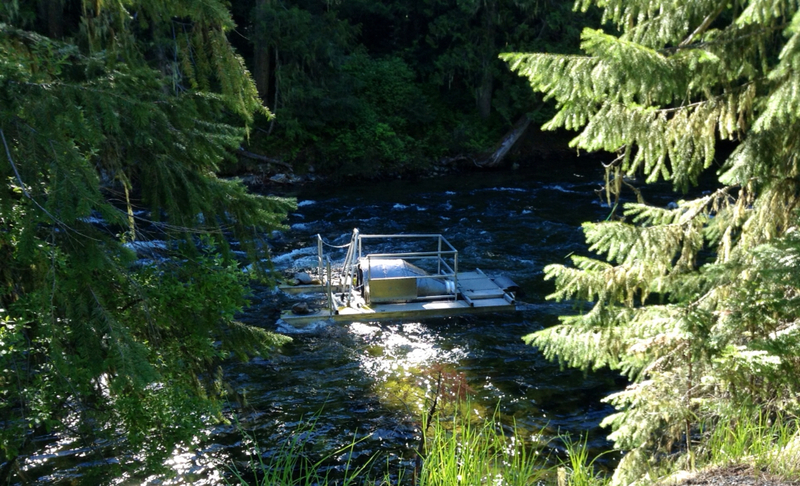 I rode past an interesting contraption that was tethered down atop the river. Do any river or rafting people know what this might be? Perhaps a flow-meter of sorts? Residue from my stomach glow. As Lolo Pass is on the border between Idaho and Montana, I've now entered my fourth state. 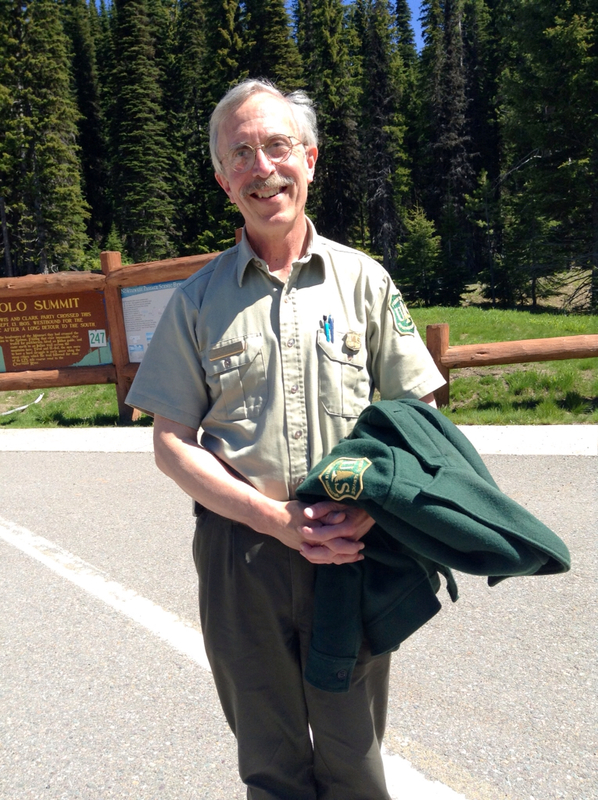 When I entered the Visitor's Center, Francis (the park ranger) flagged me down and gave me the most welcoming introduction. He told me about the route down the other side of the pass. 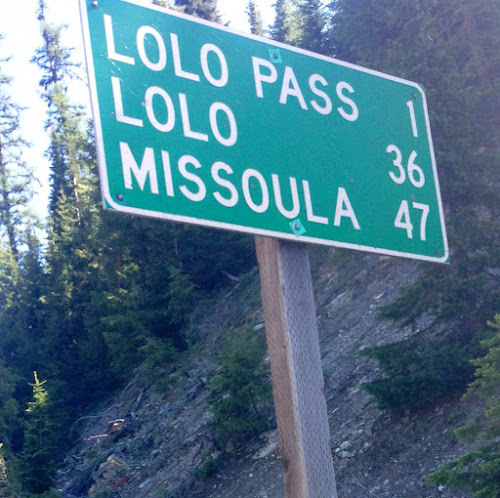 He told me to set my watch ahead an hour, as Lolo Pass is on the edge of the time zone. He offered to take my photos. And he told me that wifi was available. He even lead me to a little bench in the back of the Visitor's Center that had an outstanding view and that was right next to the router. What service! You rock, Francis! Francis - best park ranger ever. On the way down the pass, I stopped to say "hi" to two other fellow tourists. A German guy (I didn't ask his name) was on his way up the pass. He started his journey in Miami and will be ending in Seattle. I don't think he could have found a starting and ending town that are any more different. I also ran into Steve. We were both traveling in the same direction, but I was moving at a slightly faster clip. He had just pulled over on the side of the road to take his shirt off (it was pretty toasty), as he thought he was the only one around. Surprise - bike tourists are pretty quiet and can easily sneak up on you. Steve is from Louisiana. 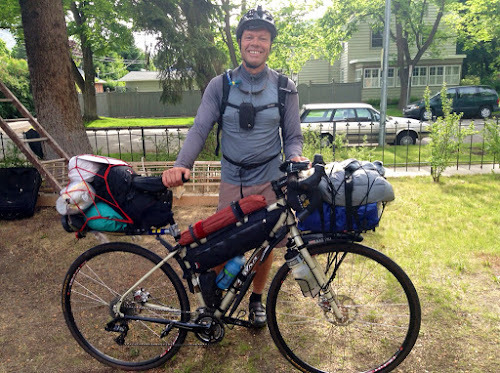 He is taking his dandy time to ride from Portland to St. Louis. What a happy guy! He gets the whole simplicity thing - he's sold his stuff and is enjoying his pension from the road. Fellow tourist, Steve, with his shirt on. The remaining miles into Missoula were with a headwind. I guess I'm paying the price for that awesome tailwind I had a few days back. 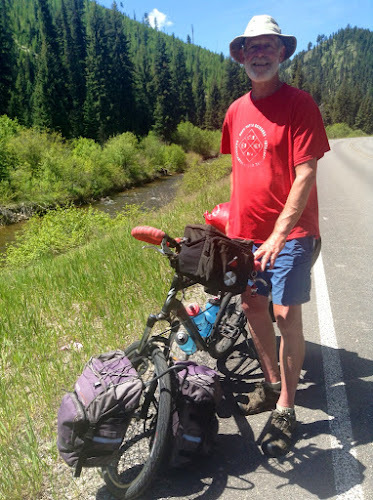 One of the reasons I'm riding through Missoula is because, starting tomorrow, I will be taking a four-day Leadership Training Course with Adventure Cycling. I've mentioned Adventure Cycling previously. 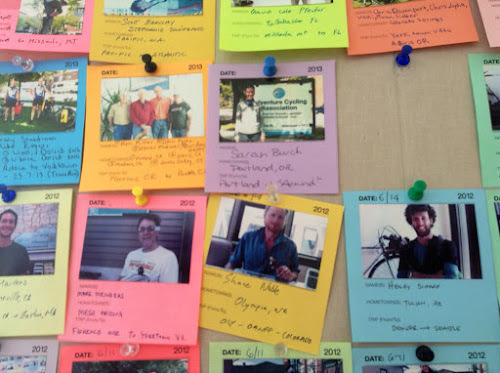 Their mission is to inspire and empower people to travel by bicycle. The organization does a whole lot of amazing things. For one, they have created an Adventure Cycling network here in the United States with over 40,000 miles of bike-friendly routes. They are also working to create an official U.S. Bicycle Route System. Think of being able to bicycle between any two major cities in the U.S. Once completed, it will be the largest biking network on the planet, even beating out Europe's awesome routes. 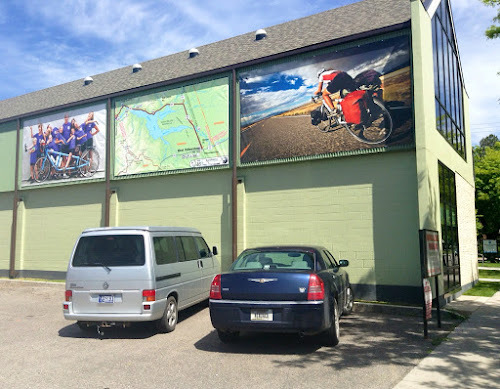 Adventure Cycling also offers tours and publishes a magazine and other good things. I feel so strongly about the organization that I recently became a lifetime member. 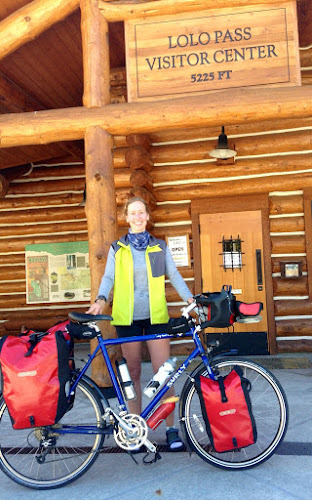 The Leadership Training Course teaches how to lead self-contained bicycle tours. 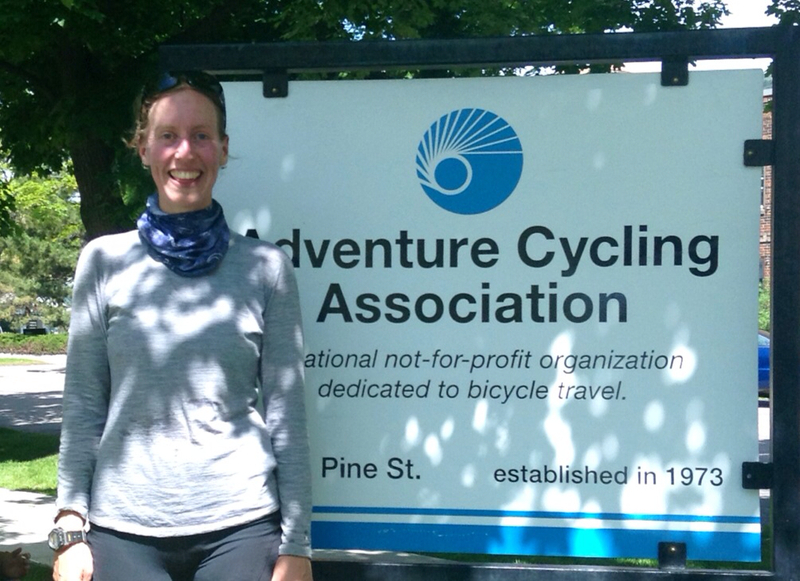 Taking the course opens the opportunity to lead rides with Adventure Cycling. It also opens other doors as well, should I ever decide to lead tours with another organization or perhaps lead my own tours someday. I stopped by the headquarters to say "hi." As is the case with all visiting tourists, a photo is taken and added to the Wall of Fame. (This photo will be available on the Adventure Cycling website, adventurecycling.org, soon.) I also had some ice cream - another treat for stopping by the headquarters. Posing, as all posers do. On the Wall of Fame. I'm at another Warm Showers host this evening. This is an awesome place. A guy named Bruce owns this huge house. 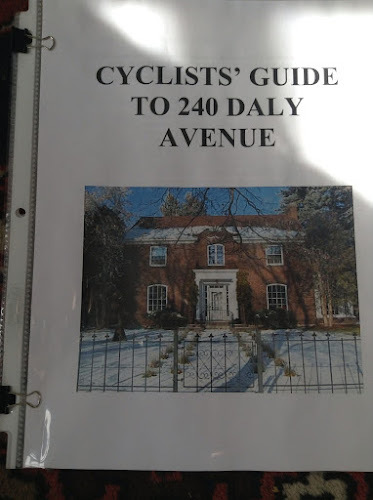 There are a couple of folks who live in the house, including Ben (Bruce's adorable 9-year-old son) and Brent (who "manages" the Cycling guests). The home is very much a free-for-all. No heads-up is needed. Just show up. Help yourself to the kitchen. The shower. Sleep wherever you'd like. This Warm Showers host has an awesome "Cyclist's Guide." There was one other cyclist who was here when I arrived. Darryl, who is from San Diego, started his ride in Portland, riding out to Missoula with some friends. Darryl will be taking the class as well this weekend, and so we chatted a bit about that. After the class, Darryl will be biking The Great Divide, an awesome off-road route that extends from Canada down to the Mexican border. Darryl, with "Wildebeast," which he says feels more like "WiggleBeast" when fully loaded. Very much looking forward to the class tomorrow! Nice! Something told me that ~you~ would be the one to know the purpose of this contraption. Thanks! Have fun with the class and Congratulations on finishing the first leg of your journey. Sounds like it is everything that you have looked forward to so far. Good job on the photos and the blogging - I thoroughly enjoy living vicariously through your adventures :) Safe riding! Thanks, Ro. We must catch up sometime soon! 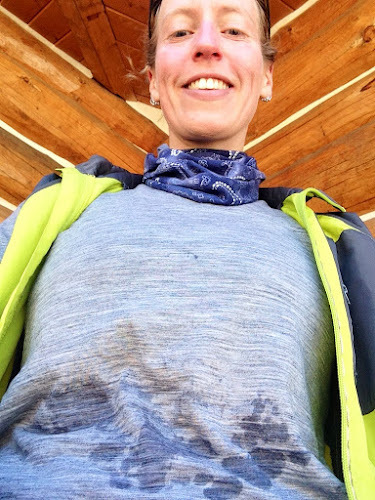 A great bike ride indeed! I am enjoying the journey so far, Sarah, and admire your tenacity! Thanks, MaryJo! You're so kind!